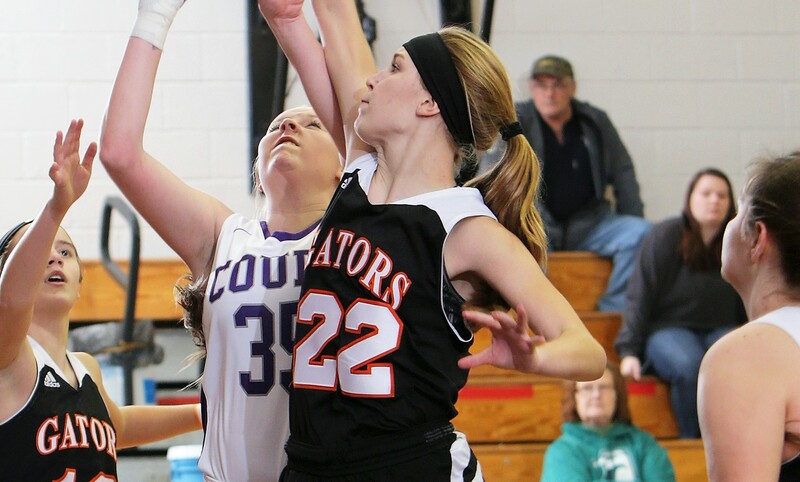 PORT ALLEGANY, Pa. – Leah Garzel led a trio of Port Allegany players in double digits with 17 points, as the Lady Gators doubled up visiting Austin, 60-30, in North Tier League action. Cailey Barnett and Cierra Lannager both added 10 points for Port Allegany with Maleah Daniels chipping in with seven tallies. 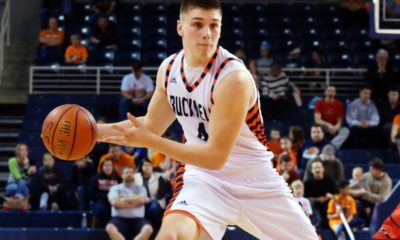 Jordan Brewer paced Austin with 11 points with Shea Setzer and Julia Latimore both adding six points. Latimore also had 12 rebounds. SHINGLEHOUSE, Pa. – Twelve different Otto-Eldred players scored, as the visiting Lady Terrors rolled to a 63-22 win over Oswayo Valley in North Tier League play. Camryn Thomas led unbeaten Otto-Eldred with 13 points, seven steals, six rebounds and three blocked shots with Autumn Smith adding 11 points and Jade Spinney eight tallies. Haylee Frederick also had four points and five steals. Shayla Bickel paced Oswayo Valley with nine points. 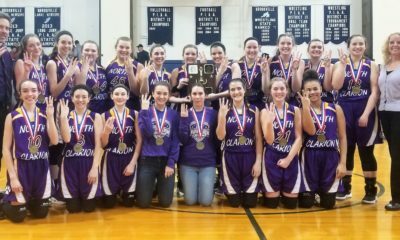 EMPORIUM, Pa. – Alyvia McKimm hit four 3-pointers on her way to 14 points and Amily Schatz added four points and 22 rebounds to help Cameron County get a 33-25 home North Tier League win over Smethport. Laila Smith added eight points for the Lady Raiders with Kalee Bresslin contributing five points, three steals and three assists and Kamme Guisto two points, three steals and three assists. Abbey Woodard had a game-high 17 points for Smethport. RIDGWAY, Pa. – Chelsea DeSalve scored 18 points to lead visiting DuBois to a 46-33 win over Ridgway. Ashley Hallowell added six points and six rebounds for the Lady Beavers despite playing only the first quarter because of an illness and Sarah Snyder chipped in with five points. 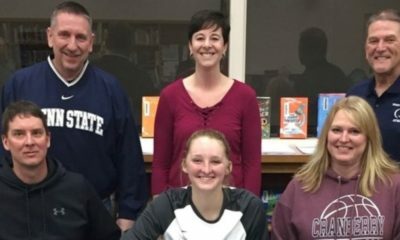 Emily Fullem paced Ridgway with 13 points, 12 rebounds, seven blocked shots, five steals and three assists. Alyssa Kasmerski added eight points and Casey Woodford five. 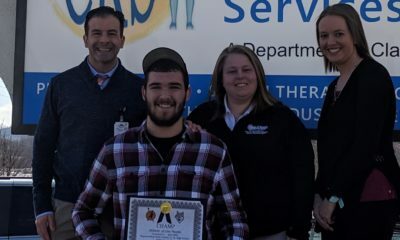 CURWENSVILLE, Pa. – Josh Terry exploded for 37 points to help Curwensville score 90 points for the first time in nearly 12 years in a 90-74 Moshannon Valley League win over visiting Harmony. Terry hit 16 shots from the field and went 5 of 7 from the free-throw line on his way to the career high. Devon Barrett added 23 points for Curwensville while hitting 5 3-pointers and Christian Bakaysa added 16 tallies. Mike Koblosky led Harmony with 22 points, Daniel Rorabaugh added 16, Dylan Kurtz 14 and Jayden Westover 13. It marked the first time Curwensville reached 90 points in a game since Feb. 13, 2006, when the Golden Tide beat Abraxas, 90-63.